Come to Sunriver prepared. Check the weather in Sunriver, Oregon, ahead of your arrival so you know exactly how to pack for your vacation. Don't get caught in the snow without a jacket. Sunriver is located in the “high desert” of Central Oregon at an elevation of 4,200 feet. The climate is relatively dry (low humidity) with nearly 300 days of blue skies and sunshine annually. Although temperatures during July and August can range from 90 degrees in the day to 40 degrees at night, these extremes usually give way to a more moderate range of temperatures: pleasantly warm during the day and cool and refreshing in the evening. Rain is rare during the summer months with the average cumulative rainfall of 19.52 inches occurring primarily during the spring and fall. Sunriver weather in winter is a delight with an average cumulative snowfall of 60 inches annually. January and February tend to be the months with the greatest snowfall and temperatures can range from a high of 39 degrees to a bone-chilling low of minus 14 degrees. All of this and we are only minutes from Mt Bachelor too. See our Sunriver map for more information. 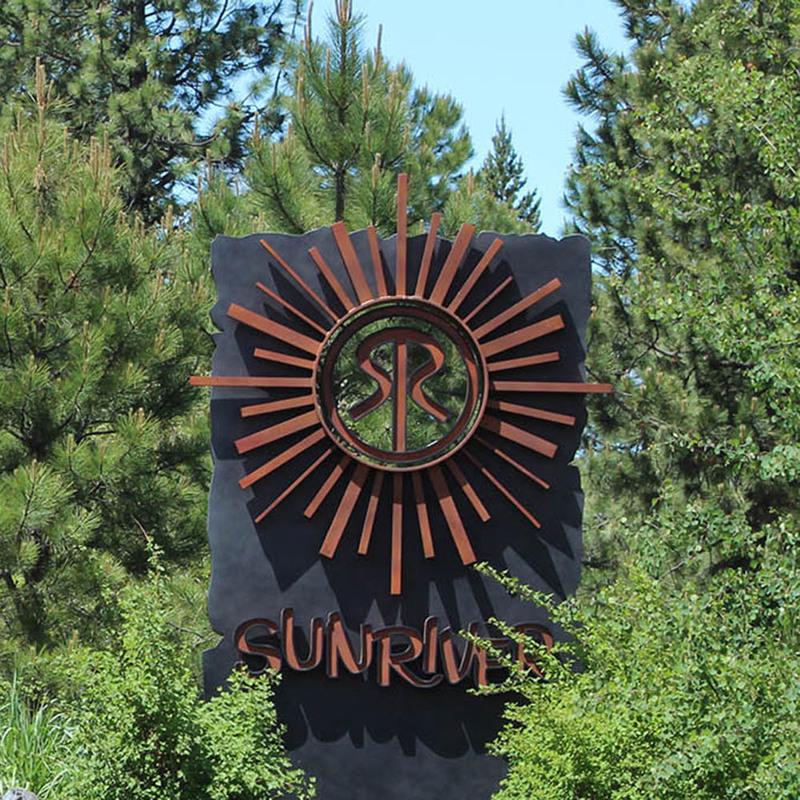 If you have questions about Sunriver or would like to book a Sunriver vacation rental please call 800-541-1756 or email resdesk@sunriverlodging.com. Before you start packing, reserve your Sunriver vacation home.